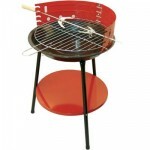 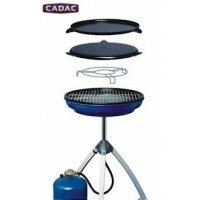 A nifty barbecue that folds in half to save space and hold in any unwanted mess (Stan's scorched sausages)! 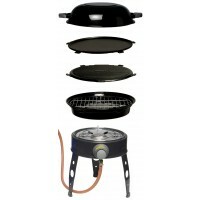 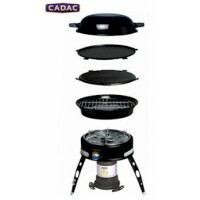 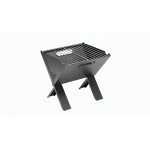 Made of stainless steel with chrome plated grills, this barbecue can be used with or without the extension legs (not provided). 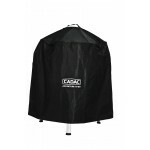 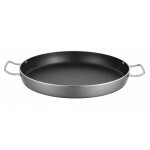 Cooking area measures 35x44cm when open. 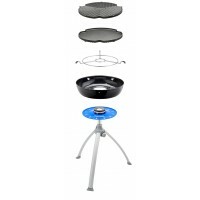 Sunnflair Steel Barrel Barbecue - Without Legs.